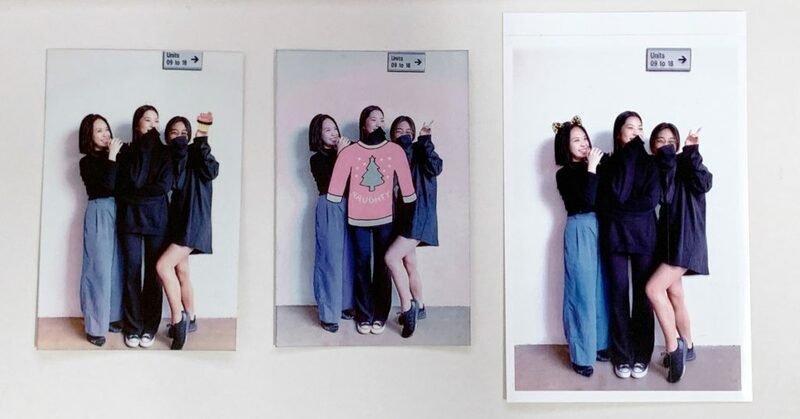 I used to think that photo printers were unnecessary… until my kids enrolled in school and teachers kept requesting for physical photos of the kids for projects and ID cards. Now it’s almost essential for me to have a photo printer lying around (either that or I have to run to the nearest Fujifilm or Kodak shop to print out!). 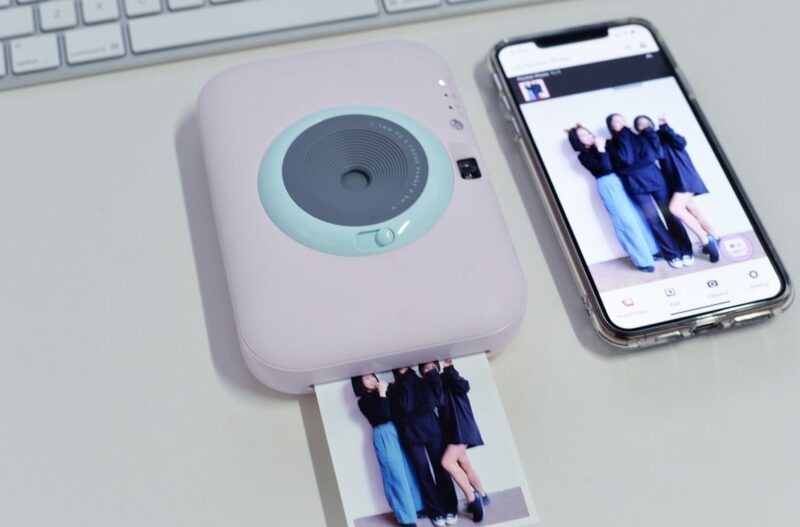 While a regular printer can do the trick (now most of them can print pretty decent photos), I prefer small compact photo printers because they don’t need table space. Also, I can carry it around in my bag. PROS: This is the smallest and lightest of the three. Connection to the printer is extremely quick; once I turn the printer on, my iPhone detects it and launches the app. ZINK™ technology paper refills mean that no ink is required. Canon claims that the pictures are smudge-proof and tear resistant. 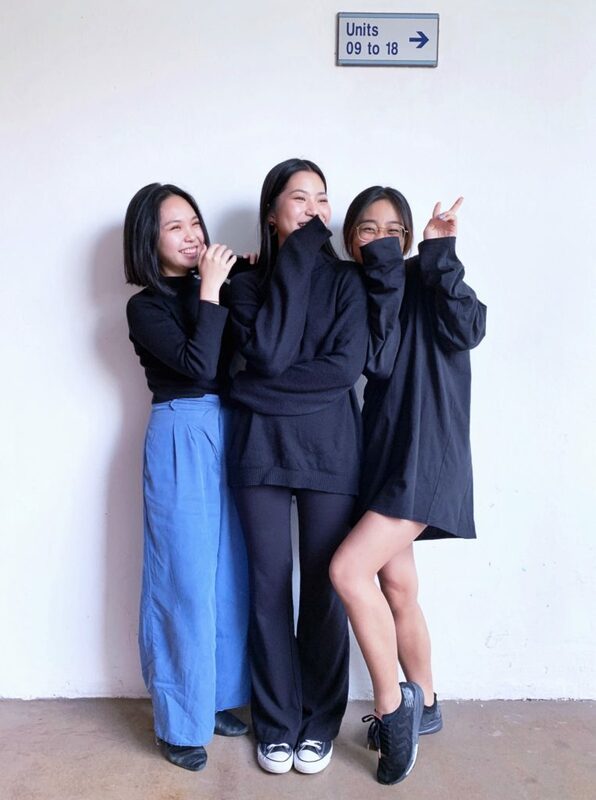 I’m gonna take their word for it because I’m not about to tear this lovely photo of our three interns in half. I also do love that Canon uses sticker paper, so all these print-outs are instant stickers! CONS: I’m not particularly impressed by the quality of the print-out; there are vertical lines down the paper, and the highlights on the picture are blown-out (I would suggest tuning down highlights before printing). This printer comes in 3 colours, but only the back of the printer is coloured. The front is the same white throughout. They should have made 4 colours — all of them solid shades, including a white. That would have made more sense. PROMO: There’s a promotion going on right now on Canon’s website — when you buy the printer, it comes with free Tokidoki gifts (pouch, lanyard, charm, body sticker, tote bag), with a total worth of $98 (redemption until 16 March 2019). And if you buy 2 packs of Zink Photo Paper, you get an additional pack free (valid until 25 December 2018). PROS: Setting up and connecting to the printer was a breeze, as was installing the paper into the device. Like the Canon, this uses ZINK™ technology and the paper has a sticky back. The app is more comprehensive than the Canon one, which can be good and bad thing. While you get more options for customisation, it’s also not as simple to use as the Canon app. 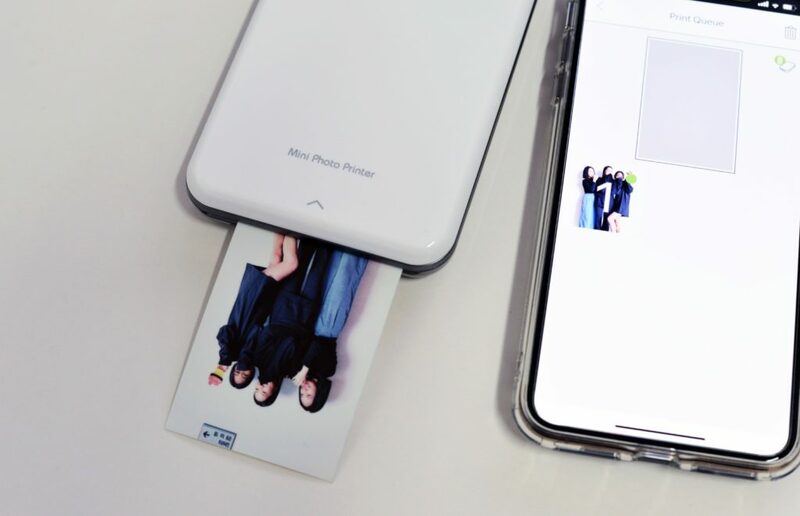 There’s also the ability for more than one person to connect to the HP Sprocket app and print at the same time. But I would say that the main unique feature for the new Sprocket, is the “Reveal” function. When you take a video or photo with this function enabled, it will “scan” and save the moment, and embed an invisible watermark in the picture that you can later scan (through the app) and see more from that moment — like more pictures taken that day, or a video that was recorded during that photo-taking scene. It’s a bit hard to explain, so here’s a video of three pictures printed out with the Sprocket, with only the last one having special embedded content. Watch what happens when we hover over the third picture. CONS: The app is not that intuitive; I had to Google to find out how to use the “Reveal” function; and once I figured that out and was back in the app, swiping left and right made it crash on me — twice. And the quality of the print-out is patchy with pink splotches in areas with brighter highlights. I prefer the Canon print-outs. 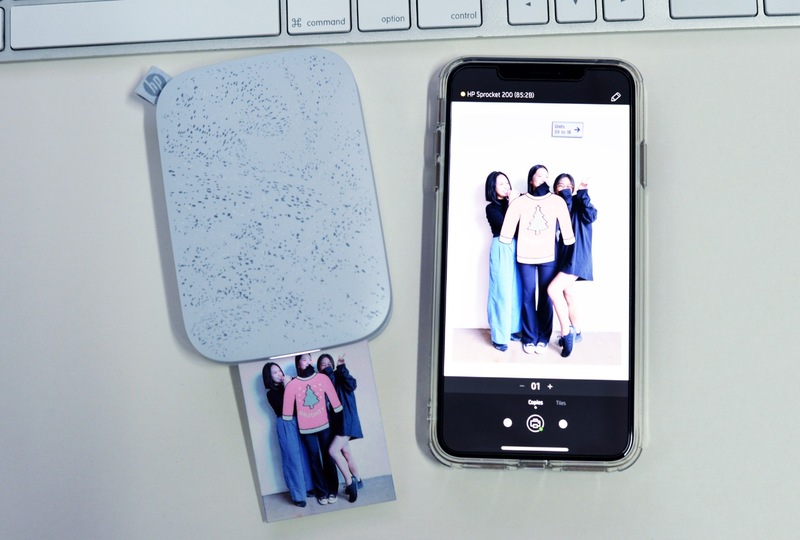 PROMO: From now until 31 Jan 2019, you get a limited edition Gift Box with the printer, which includes 50 pieces of Photo Paper (worth $35.80), a wallet case (worth $40.80), and a tote bag (worth $19.90). Available AT MAJOR ELECTRONICS STORES including Best Denki, Courts and Sprint-Cass stores in Changi Airport. it will also soon be available at Harvey Norman and Challenger. PROS: I love the matte finish and the two pastel colours this camera-printer hybrid comes in. This device by itself is very Instagrammable, and the actual print-outs are on a larger paper size than the Canon and HP ZINK ones. 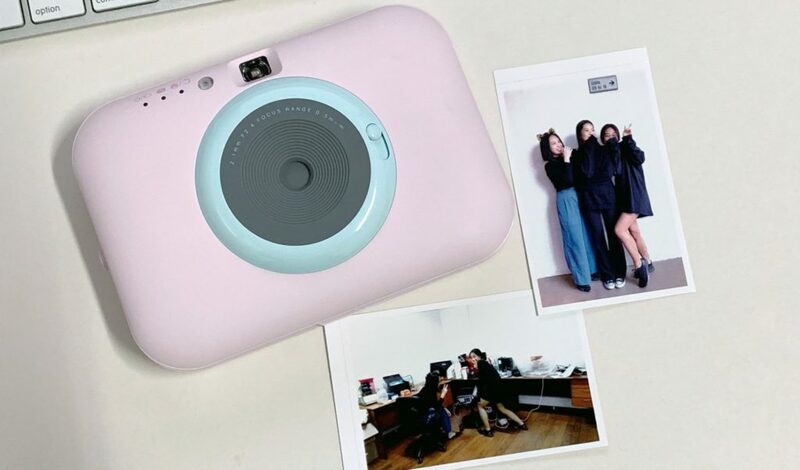 And obviously, this device is also a camera (note that HP has a similar device that shoots and prints as well, called the HP Sprocket 2-in-1 Snap and Print, retailing at $239 on Shopee.sg). 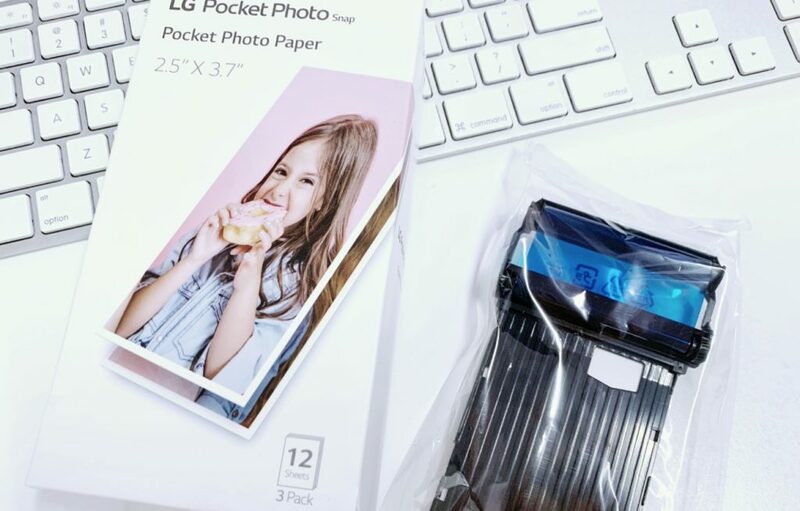 The quality of the print is remarkably better than the ones from Canon and HP’s ZINK paper, but this LG device uses a different photo cartridge so we’re not comparing apples to apples here. CONS: The device is big and heavy. I wouldn’t exactly categorise it under “portable”. It also took me a while to customise my photo to my satisfaction; the “rotate and scale” button is way too sensitive. I couldn’t place the sticker exactly where I wanted it. I wanted cartoon eyes on Jermine’s face (first girl from the left), but I couldn’t get the sticker illustration small enough, nor could I place it accurately where I wanted it. I settled for a cat ear headband instead. 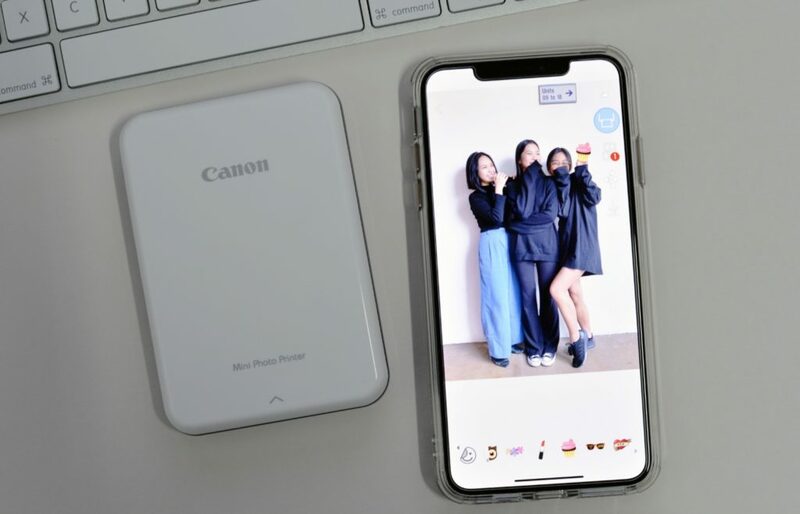 If you’re just looking strictly for a no-nonsense printer to print wallet-sized photos, get the Canon — it’s compact and does the job fairly well. 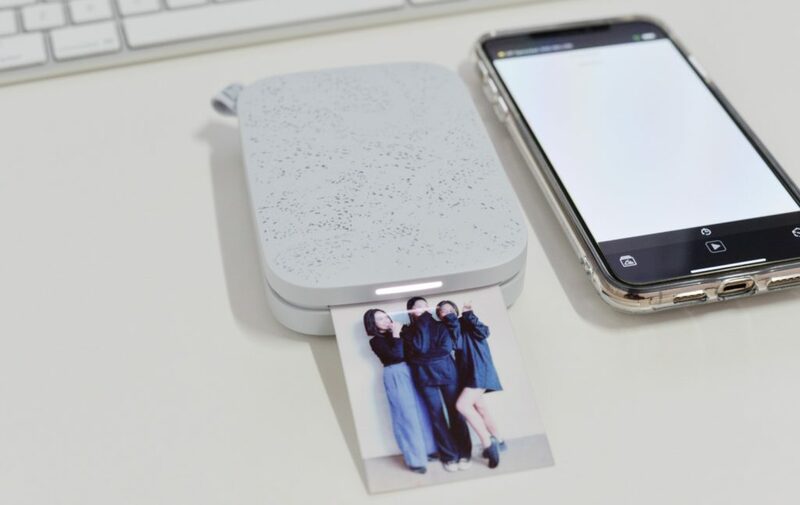 If you’re getting a photo printer for social purposes — like to share physical prints with friends, or to print out and put up on a photo wall or in a book — the HP is the only option you should consider; the “Reveal” function is pretty awesome once you figure out how it works. Imagine a whole photo wall up at home or in the office, and hovering the app over the pictures watching them come to life. It’s also a great party trick! If you’re buying one of these as a gift for Christmas, the LG is the most impressive. It looks very nice in person, and takes good quality photos in a decent size.